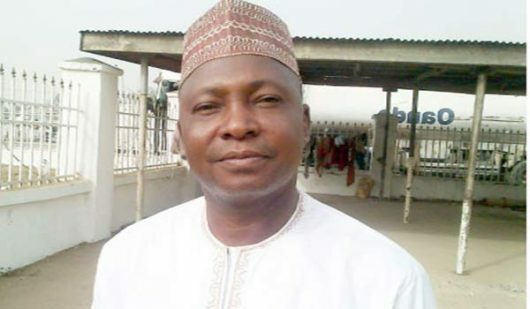 As part of effort to ensure accelerated inclusive delivery of essential services , the Chairman, Abuja Municipal Area Council (AMAC), Abdullahi Adamu Candido has inaugurated a 9-man reconstituted AMAC Community Development Committee. Candido Tuesday performed the inauguration of the resconstituted committee, which was barely disbanded barely penultimate week. He opined that he hurriedly reconstituted the committee of the importance attached to the inclusive and rapid development of the Council. He added that the Committee would boost provision of social amenities and other essential services to AMAC communities especially those in the rural areas. According to him, the committee should seek and widen collaborative effort towards community development especially the rural areas, by reaching out to local and foreign non governmental organizations, development partners to key into the effort towards development of the Council. He listed terms of reference for the AMAC Community committee to include; mobilization and sensitisation of rural dwellers to form organised community development associations at every community and cooperative Societies and organise where necessary fund raising to complete identified felt-need programmes. Others are, to assist ward community development committees to carry out a comprehensive community need assessment and development of rural community data bank; and ensure that there is a sustainable synergy between FCT Community Development and ward community development committees. The AMAC boss added that the committee shall liaise with Non-Governmental organisations for intervention programmes and perform any other duties assigned by the Council. Furthermore, he tasked the committee to ensure adequate budgetary provision by the Area Councils for ward community development committee programmes. Meanwhile, Candido disclosed that the Council recorded almost zero achievement due to greed of the then Chairman of the disbanded committee. The AMAC Chariman therefore enjoined the committee to display a sense of responsibility, maturity, dedication and discipline in the discharge of its duties. Responding, the committee Chariman, Hon. Mrs. Josephine Nnodim, assured the AMAC Chairman that the committee will work assiduously to live up to the mandate bestowed upon it. She however appealed to the Council’s leadership to have some level of confidence in the reconstituted committee. End and rapid development of the Council. She however appealed to the Council’s leadership to have some level of confidence in the reconstituted committee.